Edgar Allan Poe’s dark and dreamy storytelling has fascinated readers for years. There is something so intriguing about peering into the mind of a deeply disturbed artist. His stories have inspired countless films, songs, and artworks. His literary works have built up a massive cult following. 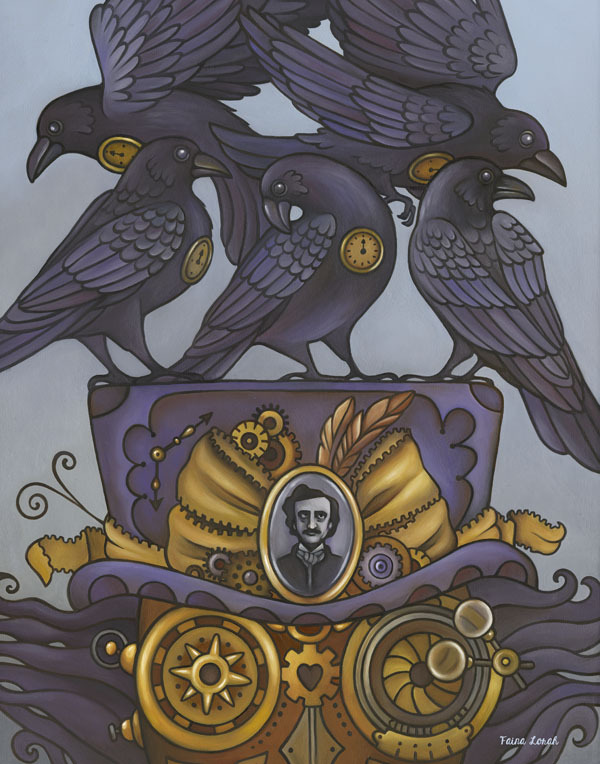 Nevermore attempts to capture the whimsy, chaos, and magic that loomed in the mind of Edgar Allan Poe. It tells the story of the ravens as they teased the immortal Poe. visit my shop. Thank you!